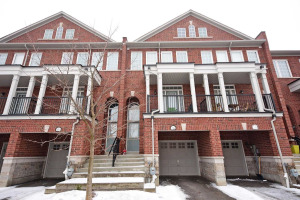 Rarely Offered Excellent Location 3 Bedroom Townhouse In A Great Family Neighborhood. Low Maintenance Fees, Featuring Open Concept Layout, High Ceilings In Living Room, Huge Windows And Walk-Out To Backyard. Modern Oak Kitchen With Stainless Steel Appliances, Large Rec Room With Pot Lights, Laminate Floors Throughout, New Roof (2015), New Furnace (2016). 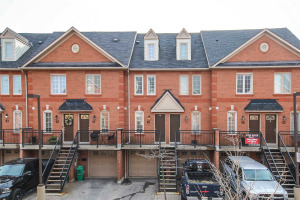 Perfect Location, Close To Schools, Major Highways And Steps To Parks, Trails And Public Transportation. Washer, Dryer, All Existing Appliances, S/S Fridge, S/S Stove, All Window Coverings, All Electrical Light Fixtures, New Furnace (2016), Maintenance Covers Snow Removal, Landscaping, Park, Street Lights & Road Maintenance Of Common Areas.